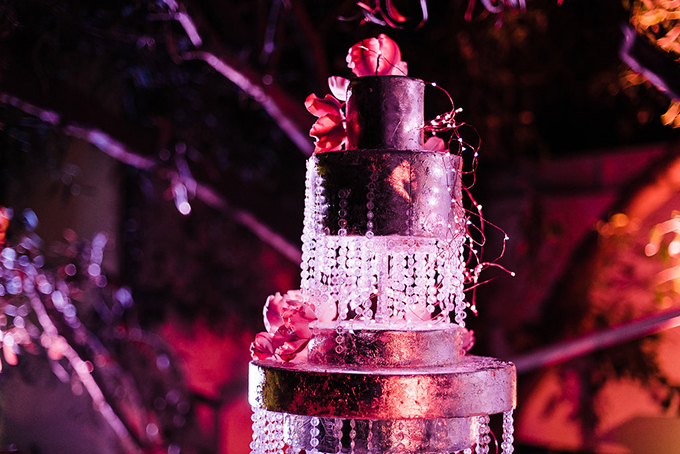 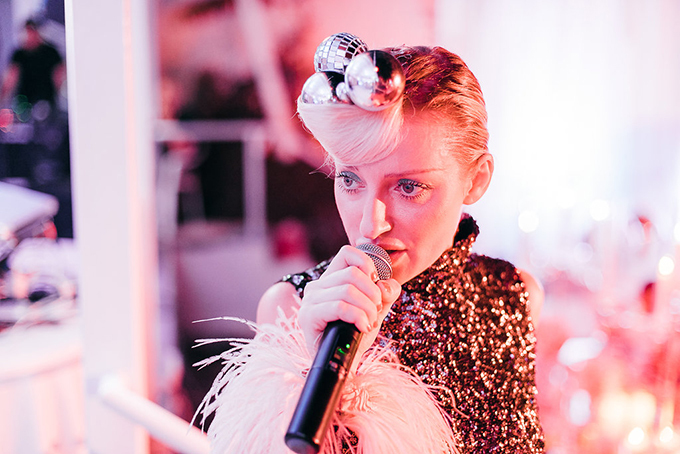 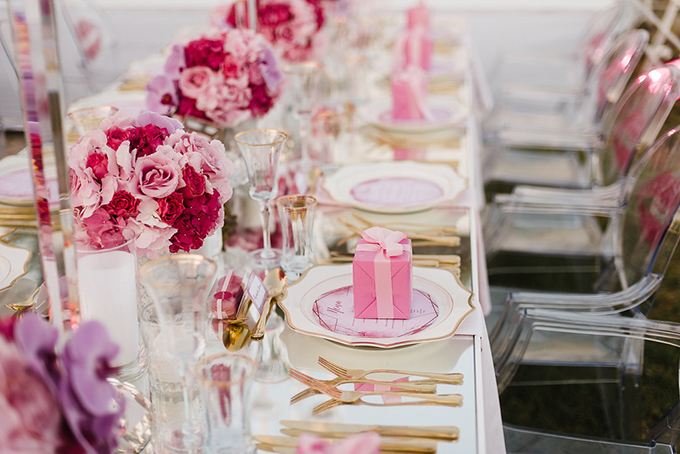 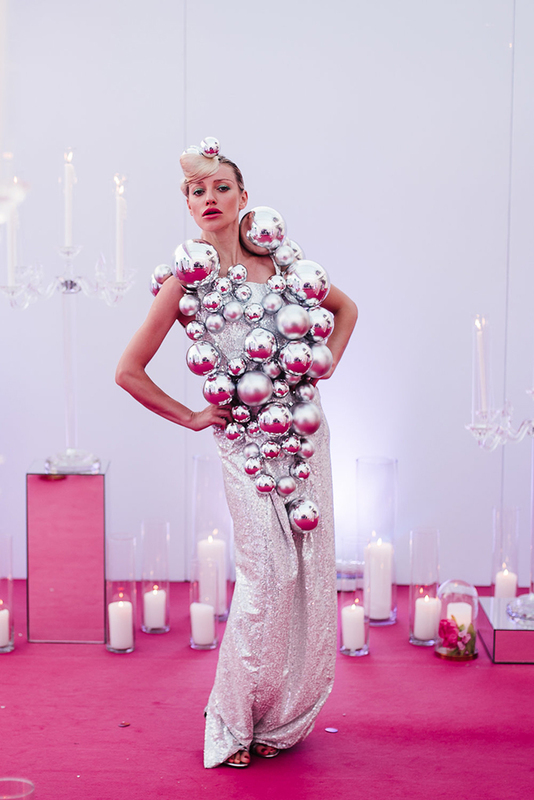 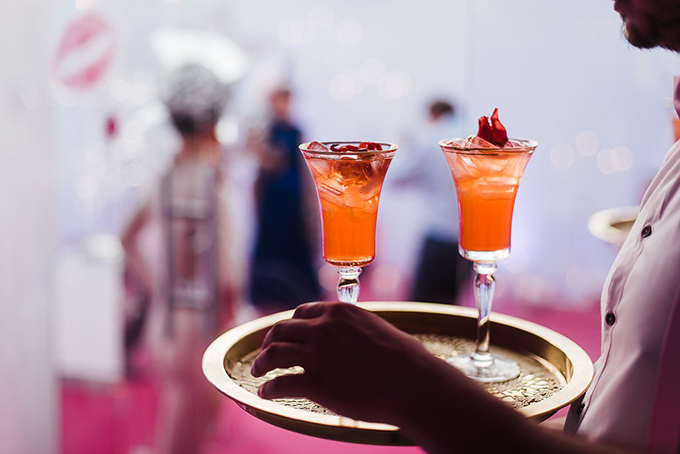 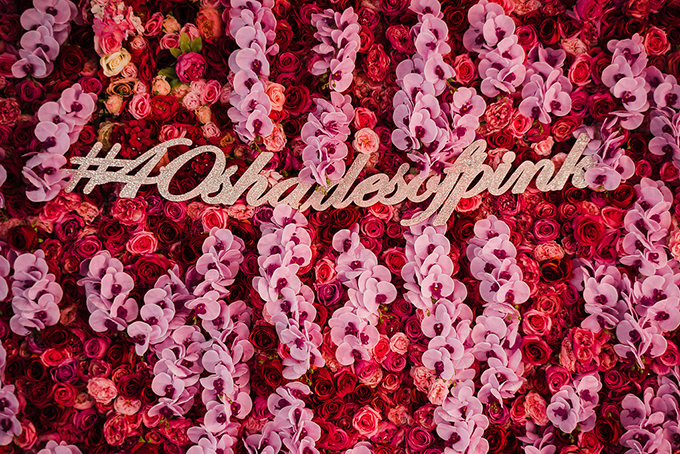 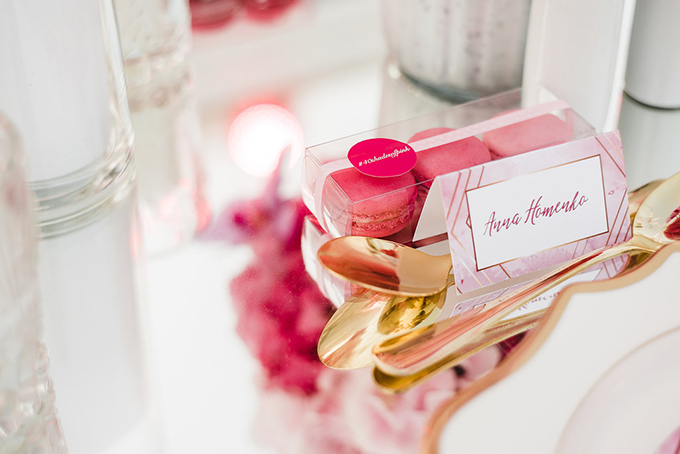 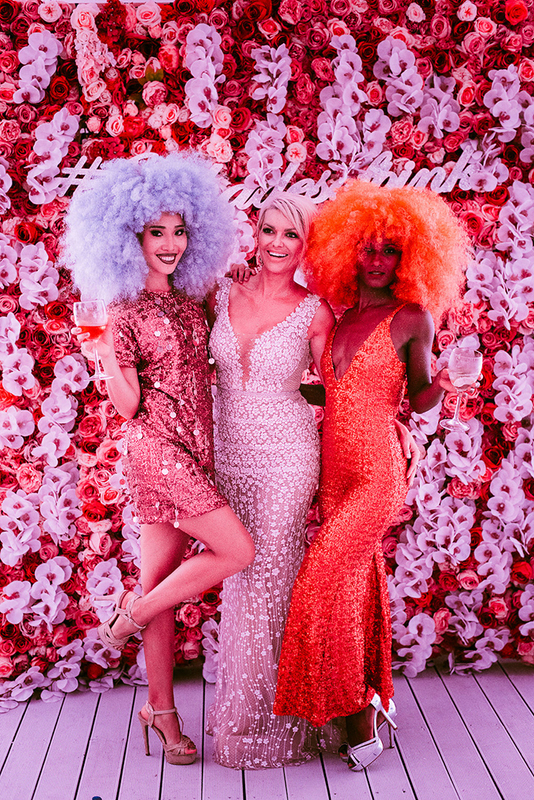 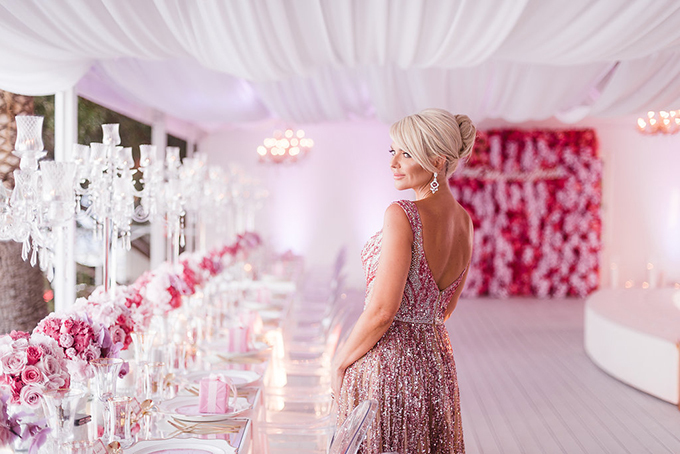 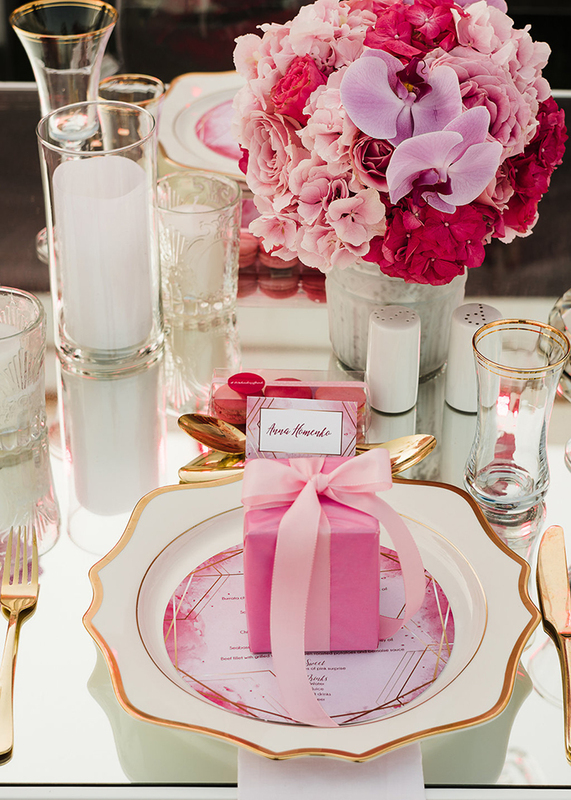 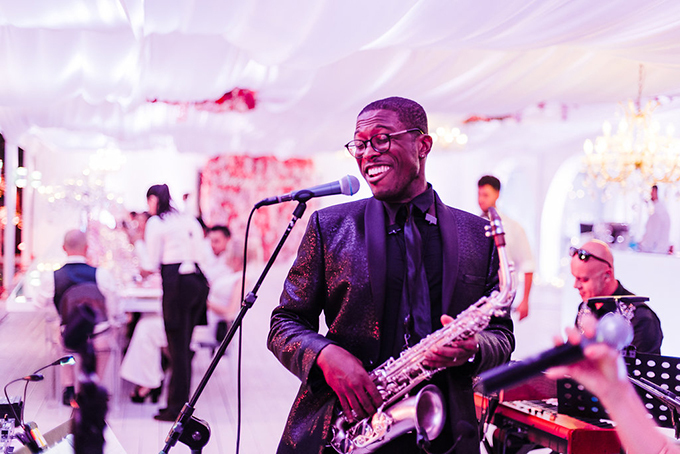 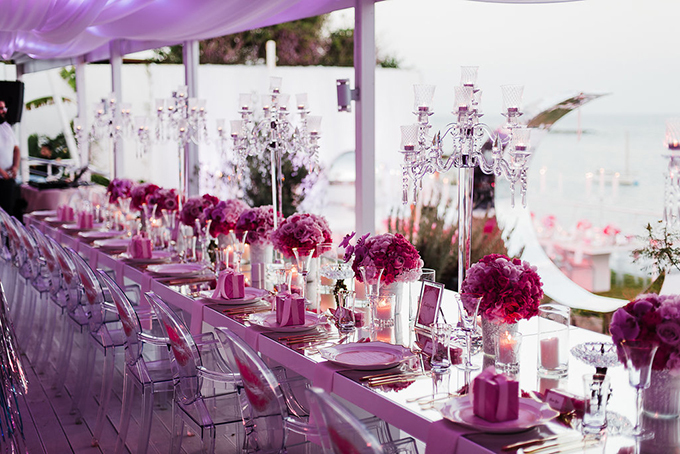 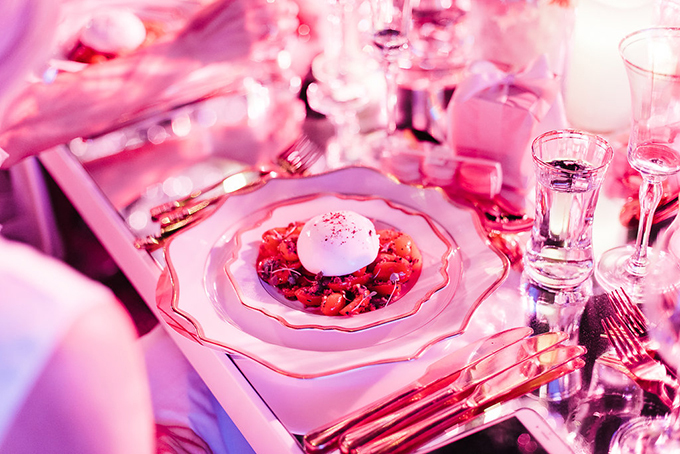 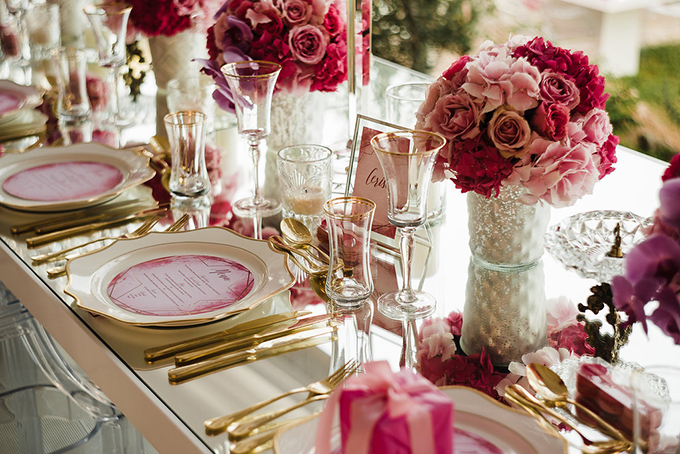 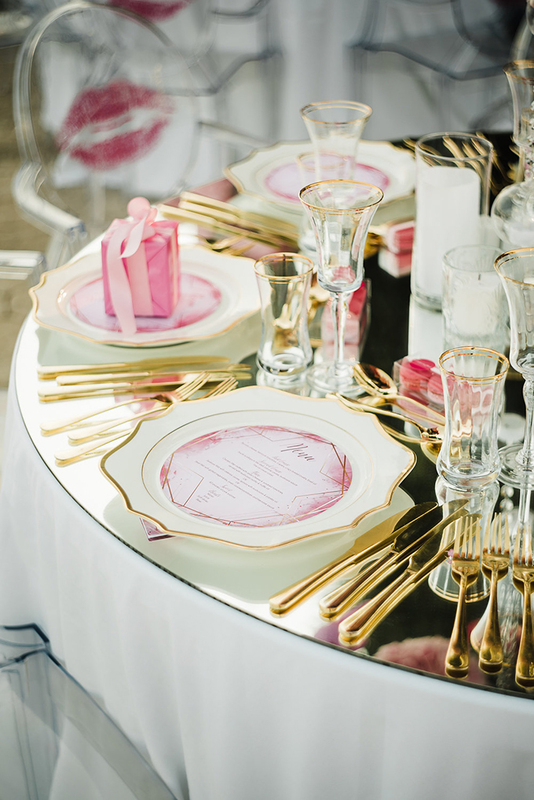 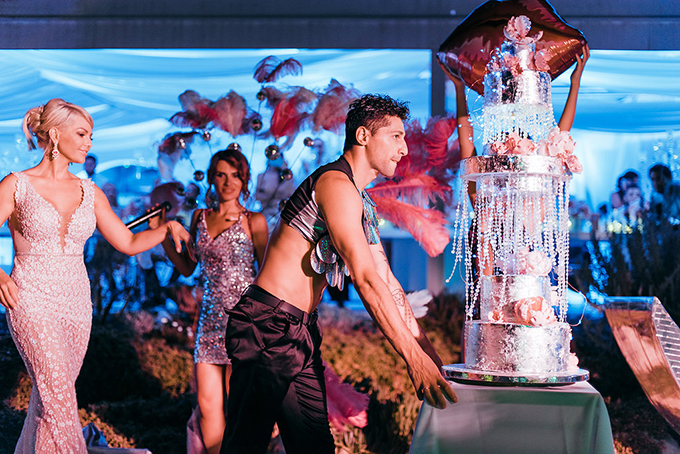 If you love pink and luxury, then this stunning birthday party will excite you! 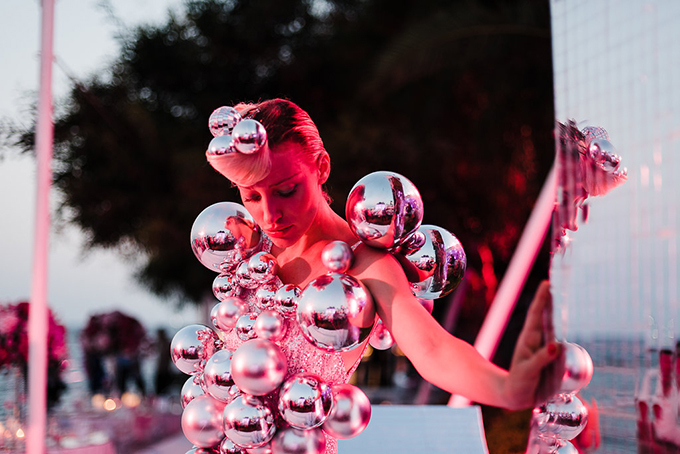 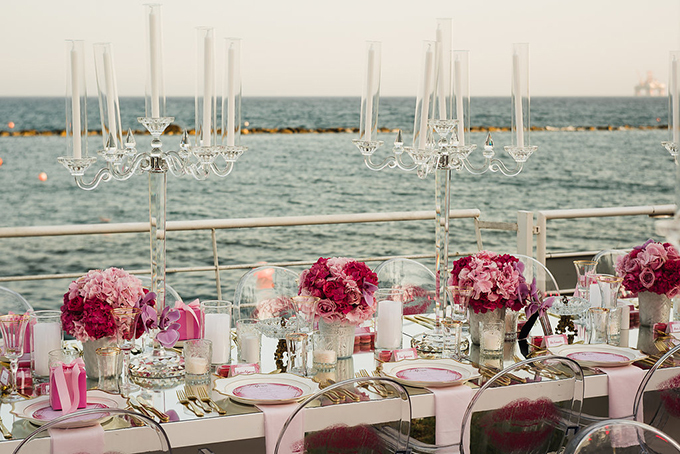 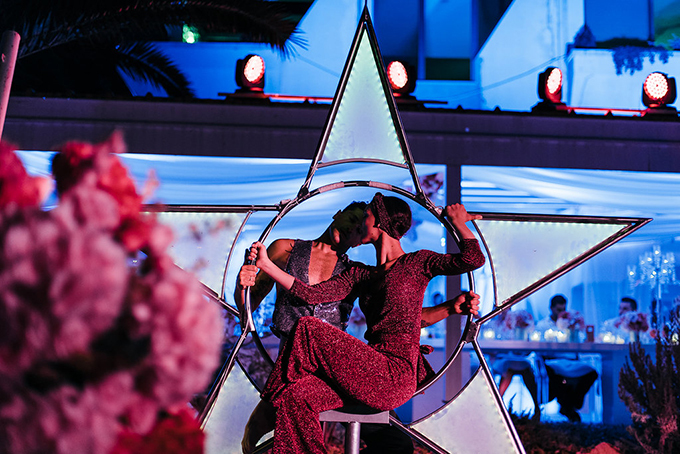 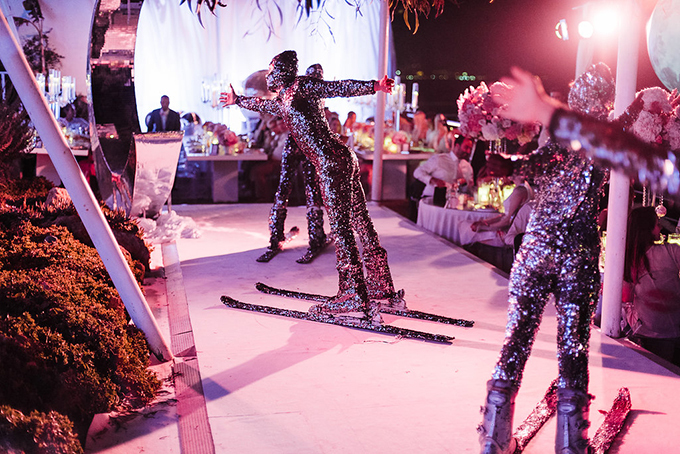 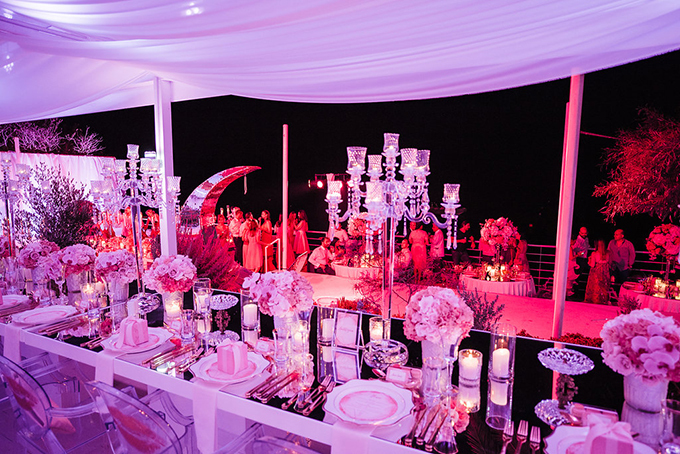 A beautiful venue overlooking the deep blue sea became even more impressive with all the shine and vivid pinky shades of the decoration. 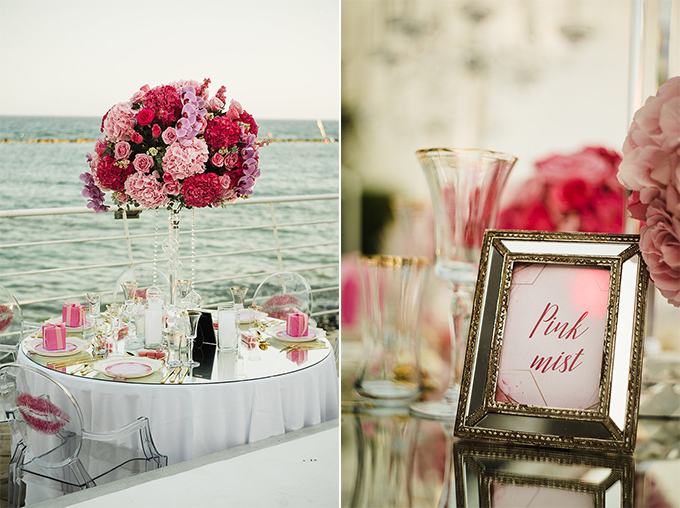 Dominant colors were of course, pink (actually, 40 shades of pink! 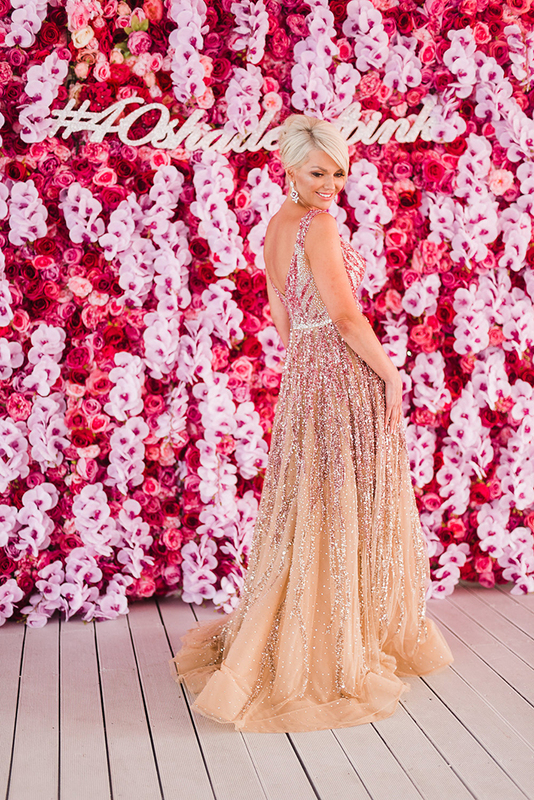 ), white and gold. 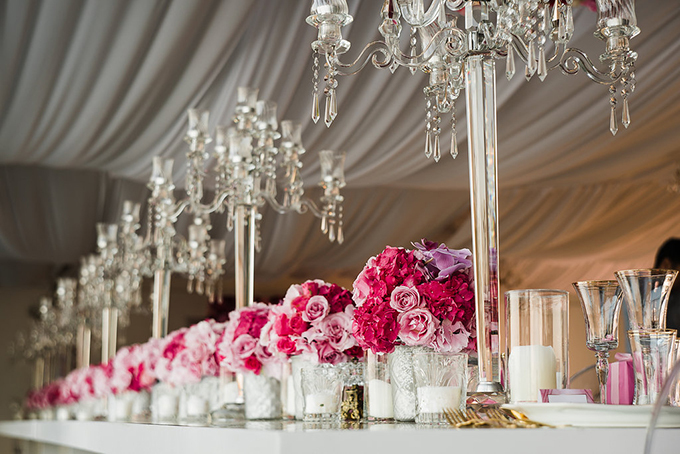 Incredible flower designs and a flower wall adorned the scene perfectly while opulent, crystal chandeliers and candlesticks added the essential touch of elegance. 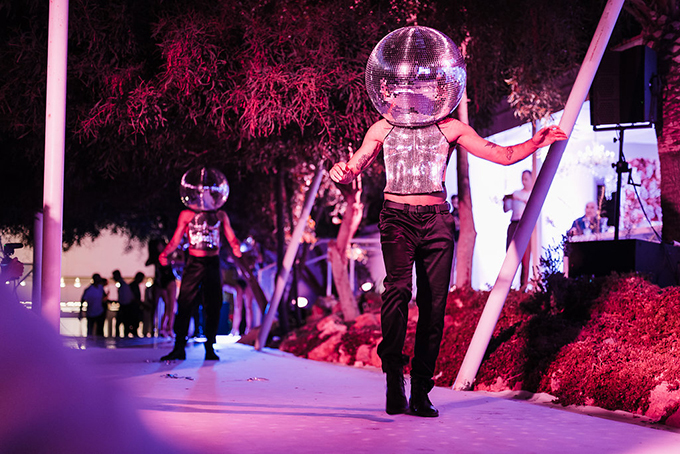 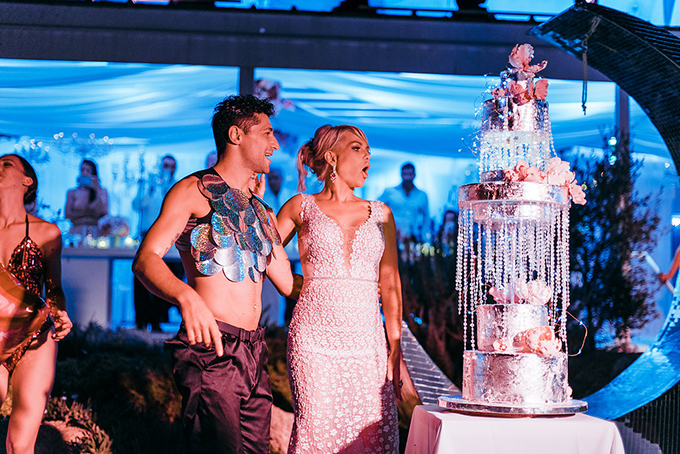 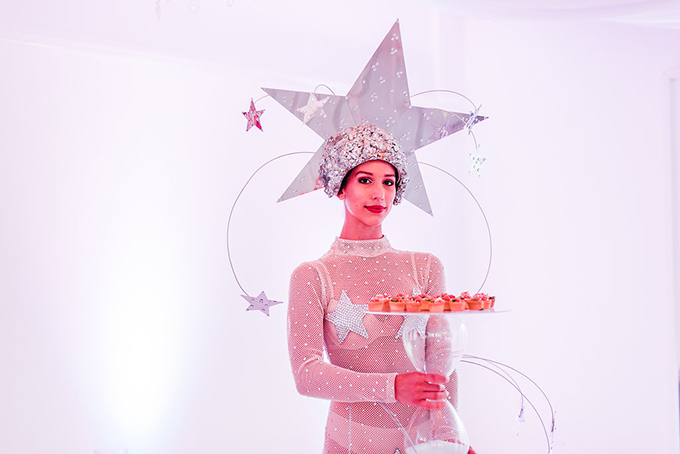 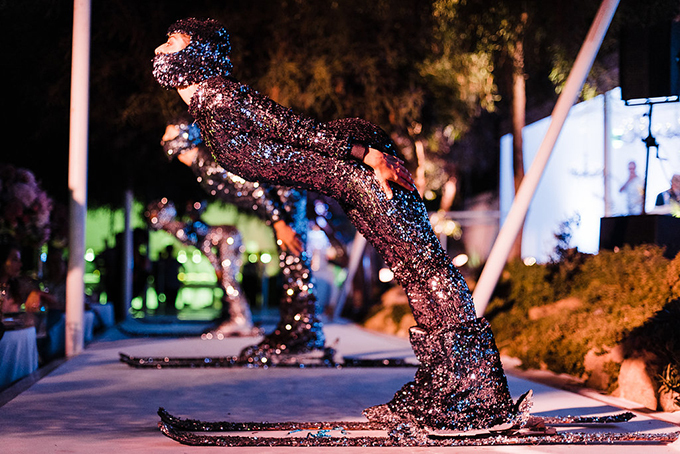 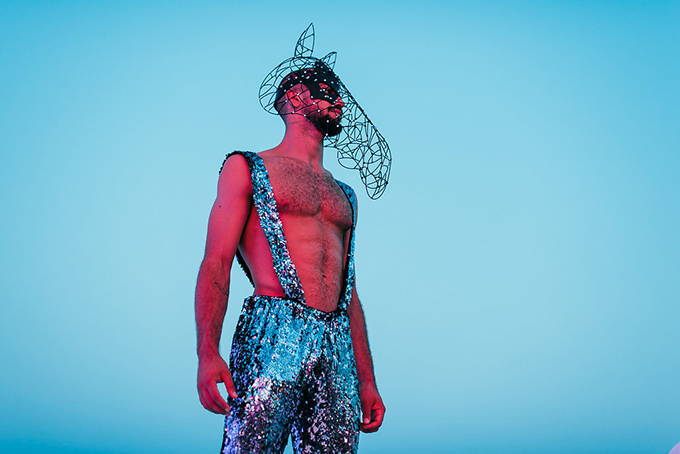 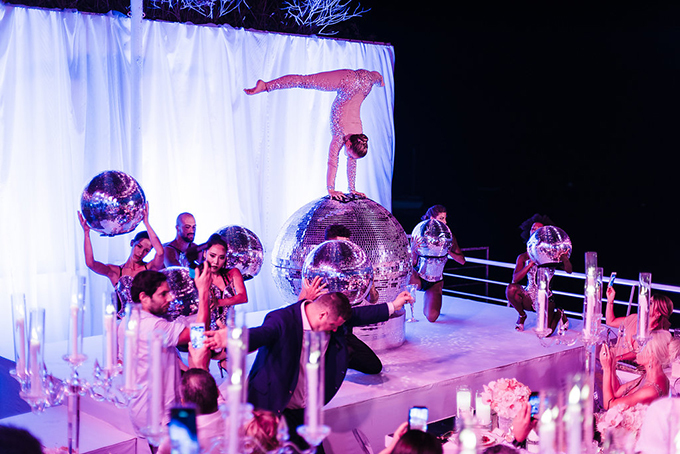 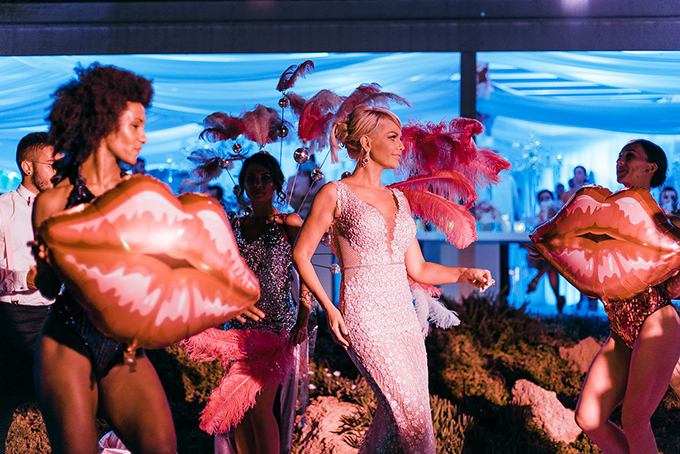 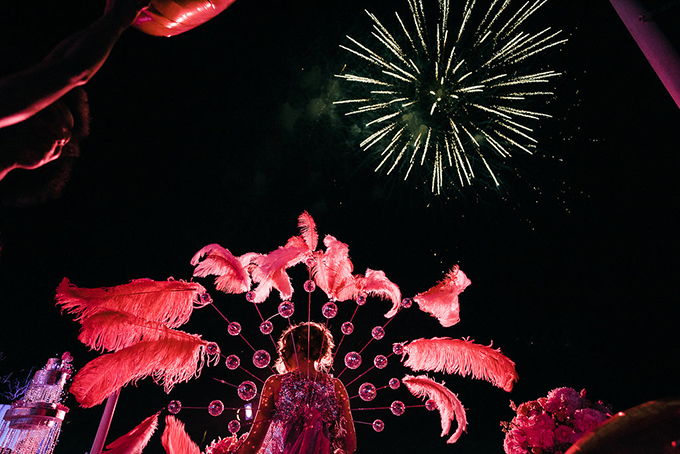 Over the top was the amazing entertainment show that included talented artists amazing set design, elaborate costumes, music and a fantastic choreography that left the party guests in awe. 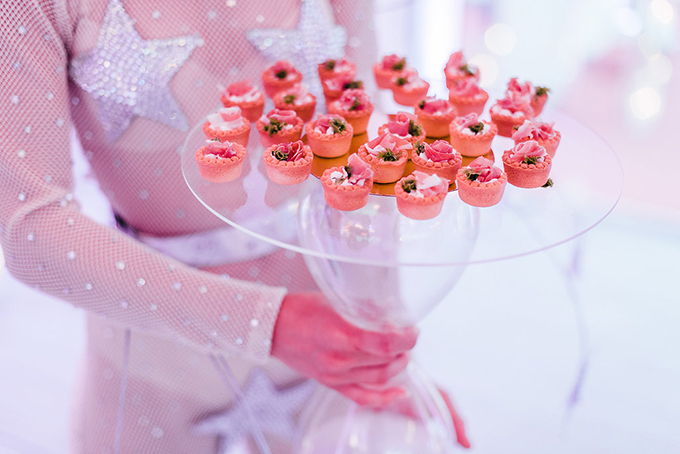 Absolutely perfect for a luxury birthday party!